SANTA MONICA, Calif.–(BUSINESS WIRE)–Dec. 6, 2018– Crash is back again, and this time he’s revved up to the max in Crash™ Team Racing Nitro-Fueled, an authentic Crash Team Racing experience that’s been remastered in stunning HD and so much more. Power-sliding into players’ hands on June 21, 2019, Crash Team Racing Nitro-Fueled also brings fans online multiplayer racing. Get ready to start your engines as the game will be available for the PlayStation® 4, PlayStation® 4 Pro, Nintendo Switch™, and the family of Xbox One devices from Microsoft, including the Xbox One X. 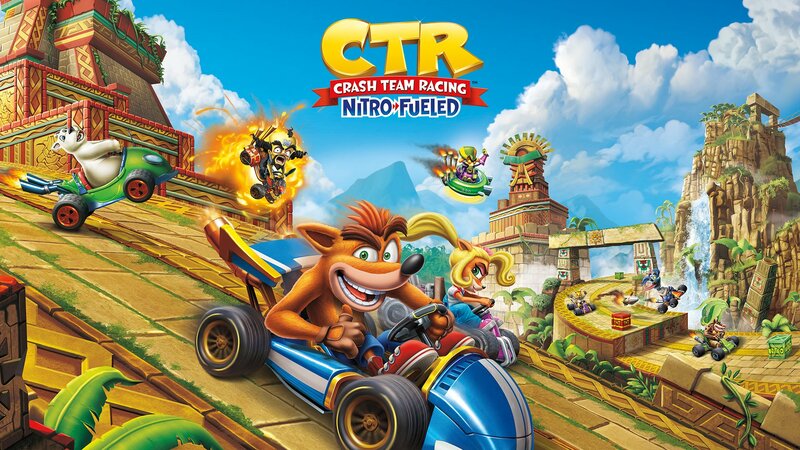 Developed by Beenox and published by Activision, a wholly owned subsidiary of Activision Blizzard, Inc. (NASDAQ: ATVI), Crash Team Racing Nitro-Fueled is built from the ground up andremasters the original Crash™ racing game by bringing the characters, karts, tracks and arenas to modern console HD graphics. Fans will be able to see Crash and friends’ expressions and antics in beautiful detail as they blast each other with power-ups and whiz around the corners in all the original racetracks. The stakes are high and the competition is fierce as players race with a variety of Crash Bandicoot™ series characters, including Crash, Coco, Dr. Neo Cortex and others against the egomaniacal Nitros Oxide to save our planet from destruction. In the new game, Adventure, Arcade Single Race and Cup Race, Time Trials and Battle Mode are back. Play Crash Team Racing Nitro-Fueled single player or vs. friends both online and offline. Players who want to kick their Crash Team Racing Nitro-Fueled into the highest gear can pre-order the Crash Team Racing Nitro-Fueled –Nitros Oxide Edition. In the digital deluxe edition, the self-proclaimed fastest racer in the galaxy, Nitros Oxide will be a playable character from day one in all game modes. Players will also receive the full Crash Team Racing Nitro-Fueled game, Oxide’s Hovercraft kart, space-themed character skins for Crash, Coco, Cortex, and much more. Players who do not purchase the Nitros Oxide Edition can earn the Nitros Oxide character and Oxide’s Hovercraft kart by completing some of the fiercest challenges in the Adventure Mode. Crash Team Racing Nitro-Fueled and the Crash Team Racing Nitro-Fueled – Nitros Oxide Editionare available for pre-order starting today. Crash Team Racing Nitro-Fueled will be available for the suggested retail price of $39.99.Crash Team Racing Nitro-Fueled – Nitros Oxide Editionwill be available for the suggested retail price of $59.99. Watch the official trailer here. More information about Crash Team Racing Nitro-Fueled can be found at www.crashbandicoot.com. 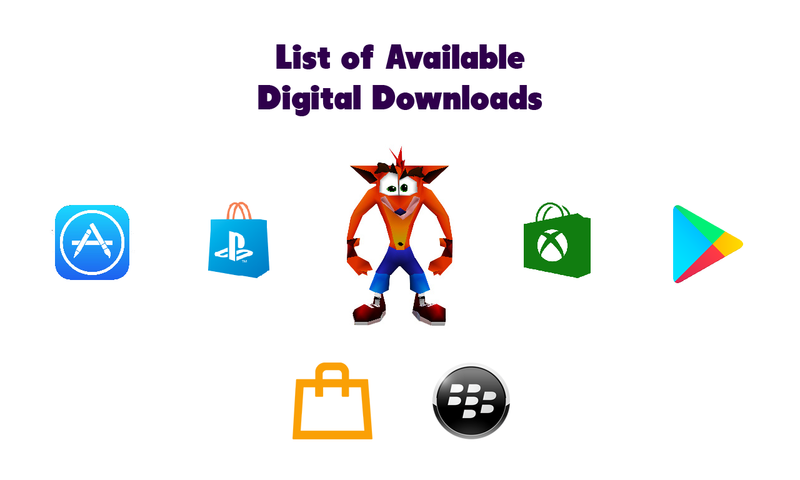 Fans are also invited to follow Twitter, Facebook, and Instagram, as well as subscribe to the YouTubechannel at YouTube.com/crashbandicoot. Cautionary Note Regarding Forward-looking Statements: Information in this press release that involves Activision Publishing’s expectations, plans, intentions or strategies regarding the future, including statements with respect to the expected release dates, features and functionality of Crash Team Racing Nitro-Fueled and Crash Team Racing Nitro-Fueled – Nitros Oxide Edition, are forward-looking statements that are not facts and involve a number of risks and uncertainties. Factors that could cause Activision Publishing’s actual future results to differ materially from those expressed in the forward-looking statements set forth in this release include unanticipated product delays and other factors identified in the risk factors sections of Activision Blizzard’s most recent annual report on Form 10-K and any subsequent quarterly reports on Form 10-Q. The forward-looking statements in this release are based upon information available to Activision Publishing and Activision Blizzardas of the date of this release, and neither Activision Publishing nor Activision Blizzard assumes any obligation to update any such forward-looking statements. Forward-looking statements believed to be true when made may ultimately prove to be incorrect. These statements are not guarantees of the future performance of Activision Publishing or Activision Blizzard and are subject to risks, uncertainties and other factors, some of which are beyond its control and may cause actual results to differ materially from current expectations. I wonder what these preorder skins will be like, and if they will cost extra money (DLC) if you buy the base game normally. Also, an extra $20 sounds a bit much for just some skins and an early unlock. If you look closely, it says unlocks N. Oxide and his hovercraft early, space skins for Crash, Coco, and Cortex, and MORE. So we just need to wait and see what the “and more” means before we judge.